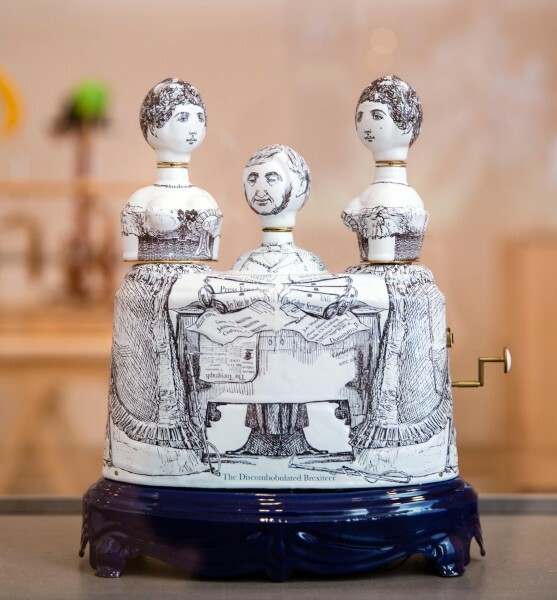 An automata made using vitreous enamel and a combination of analogue and digital parts. 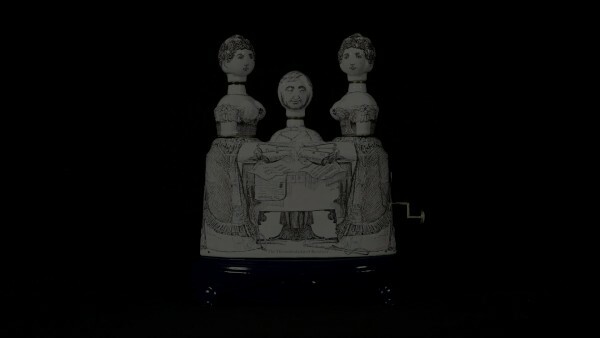 Commissioned for the Crafts Council Touring Exhibition, A Curious Turn: moving, mechanical sculpture, this object questions the trustworthiness of people in public office whose judgement can be influenced. 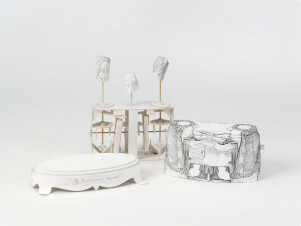 The objectillustrates a contemporary approach to using moving sculpture to comment satirically on society. 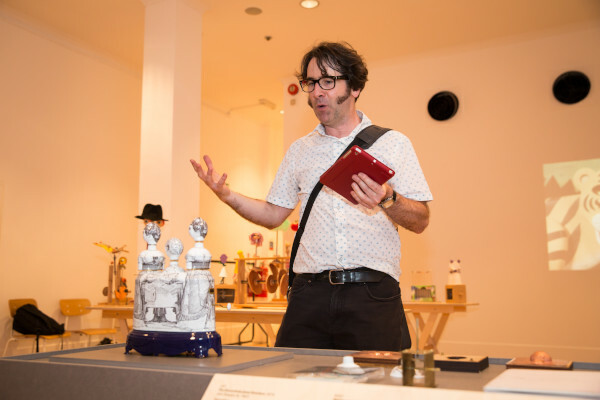 It also shows the maker’s recent change of inspirations for his work, from 19th century tinplate toys and the folk-toy tradition to the Georgian enamelling process and the example of traditional refined 18th century automata. 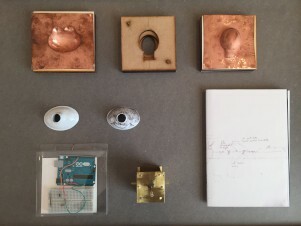 This work is also inspired by the maker’s residency at Kings College London within the faculty of Natural and Mathematical Science under the Crafts Council Parallel Practices programme. Acquisition of 'The Discombobulated Brexiteer’ (2016) funded by a donation from Nicholas and Judith Goodison. Commissioned by the Crafts Council. The Discombobulated Brexiteer, John Grayson, 2016. Crafts Council Collection, 2016.17. Photo: Iona Wolff. The Discombobulated Brexiteer, John Grayson, 2016, Crafts Council Collection: 2016.17. Film by Video in Common.